At AFTC we offer complete traffic management solutions. From the installation of fixed signs to placement and recovery of traffic channeling devices we can exceed your expectations of excellence. 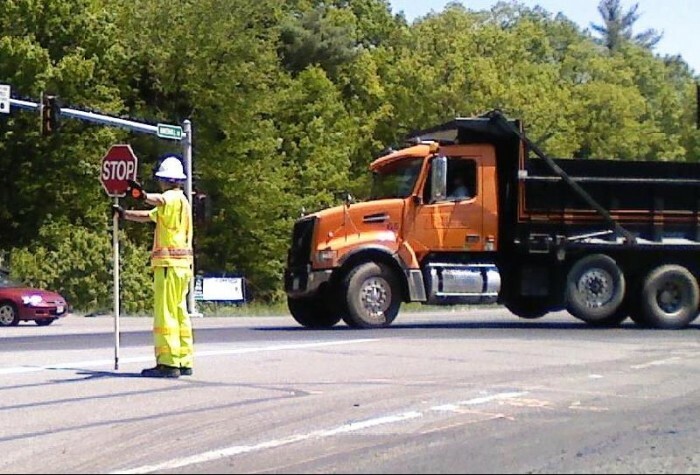 Our highly skilled employees are well versed in the proper installation height, spacing, support structure, and required materials for roadway safety signs. Our traffic management crews can create a safe stable traffic pattern in any roadway configuration, creating a safe, efficient and comfortable work zone for your employees. AFTC‘s crews arrive prepared to professionally establish the work zone, provide flagging services and tear it down at the end of the day. Each crew has received additional training to ensure that your jobsite is a safe work zone. Advanced warning signs, stands, cones, radios, etc.- if your work zone requires it, we’ll have it on the truck. Professional jobsite safety survey and evaluation by our trained staff upon request.